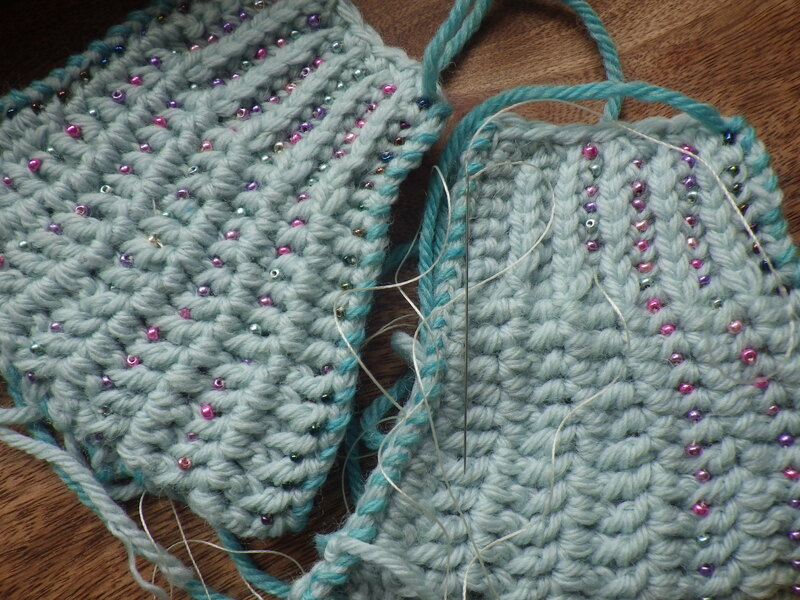 I spent yesterday teaching a lovely group of ladies how to crochet – a day of hooks, granny squares, tea and cake. My own blanket for Sixty Million Trebles grew a bit during the day and I started several more small squares, which will all eventually become a second blanket for SMT. 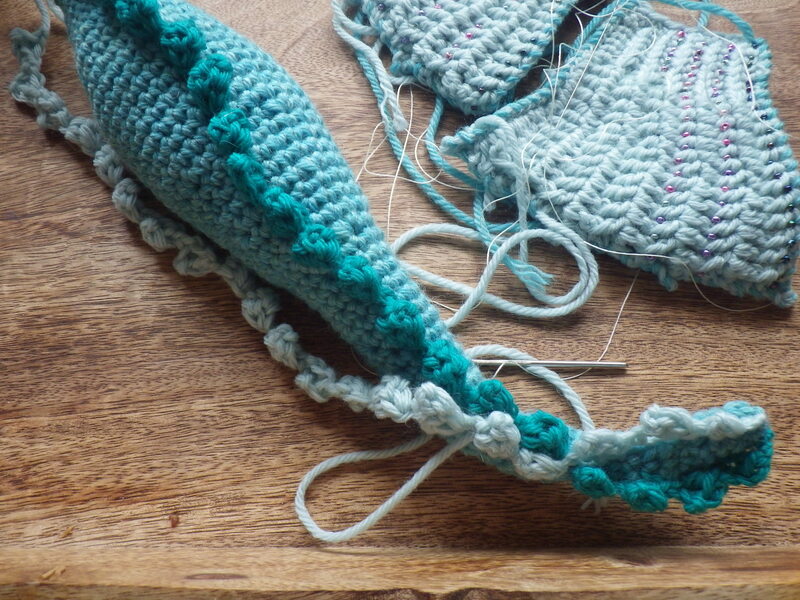 The day was a delight in its own right, but it also acted as a catalyst for me to complete a long unfinished project… something I wanted to show new crocheters to demonstrate that crochet is so much more than granny squares. Many moons ago I knitted some socks for Mr Stitch (whose work also featured in last week’s Three Things Thursday) in exchange for him making me a leather strap and base for a bag. My intention was to make a felt bag that would hold an A4 folder or two and that I could use when I was teaching. It took me ages to get round to doing the felting, and I really wasn’t satisfied with my creation, so I put it all to one side and pondered how to make the thing that I envisaged. And I pondered and pondered and then I gave up academic teaching and no longer wanted ‘that’ bag. Eventually, I settled on crocheting the bag rather than felting it and decided to use up lots of scraps of natural-coloured pure wool. I loved doing the crochet and was very happy with the end result, but once more the project stalled; this time because of my lack of enthusiasm for sewing. Finally I got hold of some Buckram to stiffen it (given to me by someone who had it going spare) and made a lining out of some strong cotton fabric scraps… then I decided that the way I had constructed the lining wasn’t ideal… and once more I ground to a halt. After I while I converted the first attempt at the lining into a useful drawstring bag in which to keep my passata maker, and then I awaited inspiration. This eventually struck – I could suddenly see the best structure. I cut out the fabric (more scrap heavy duty cotton). The final hand stitching took hours and hours – attaching the leather pieces required much patience as I had to line up the external and internal pieces on either side of the crochet and liner and stitch through all the layers. The leather had already been punched, but it was still a fiddly and difficult job. And it took me several weeks to complete, finally finished on Saturday afternoon, just in time to be able to show it off to my learners on Sunday. So, here it is… hopefully built to last! All the components except the leather pieces were scraps and even the little metal feet on the base of the bag were reclaimed. 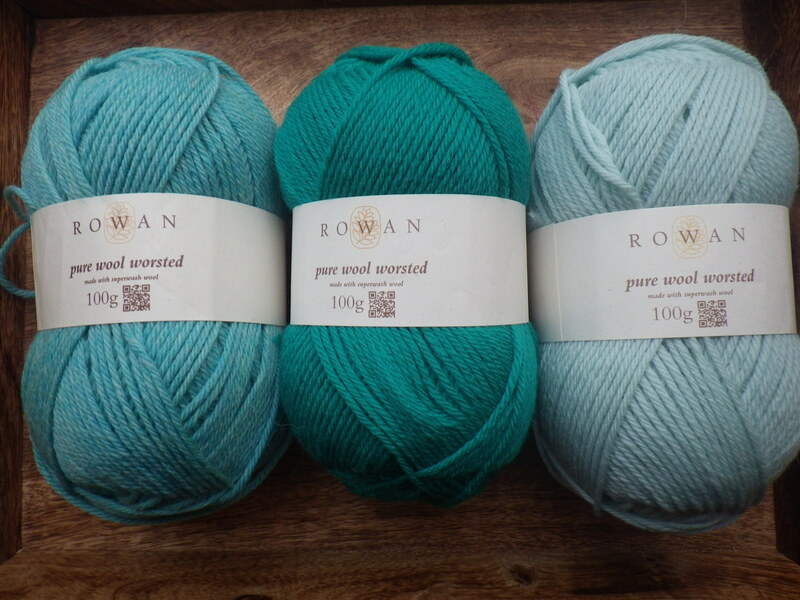 And so I started the hunt for appropriate wool… none to be had locally, but plenty of choice on the internet. I chose “aqua” as the main colour, with support from “oxygen”(lighter) and “peacock” (darker). 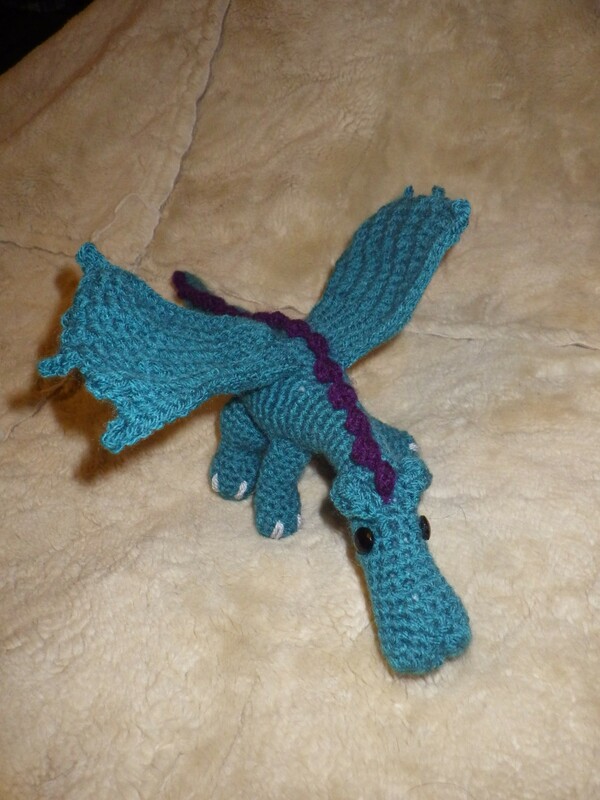 Originally, I had a vision of an undulating dragon, but somehow as I worked on it, I couldn’t create the shape I had envisaged and after some frogging I made a much straighter body. I then decided to make the spines down the back sinuous by creating two intertwined rows in different colours… like a meandering river. As a water dragon, he could not have feet like a terrestrial dragon, so I made him webs for improved swimming ability! I made the wings in “oxygen” and edged them and then remembered that I had a few freshwater pearls that would provide some appropriate embellishment. In the same box as the pearls, however, I came across an old film canister containing pearlescent beads. As soon as I saw them, I knew that they, not the half-dozen pearls, were just the thing. But what about the eyes…? I tried mother-of-pearl, but the poor creature looked dead. I tried black , like the Tasmanian dragon, but they were too stark, I went to every shop in the area that sells buttons and couldn’t find anything that spoke to me so I resorted to e-bay – the world’s biggest haberdashery shop. There I was tempted by all sorts of glass buttons and I ended up ordering a selection because I simply couldn’t decide which would look best. In the end, I used vintage Czechoslovakian turquoise glass buttons, but now I have quite a few other buttons that will make great eyes on dragons to come! I decorated the wings and spines with the pearlescent beads, and added some darker beads to the edges of the wings. Had this dragon been going somewhere in the UK, I would have wired the wings to give them extra support to counter the weight of the beads and make them poseable, but I was concerned that an x-ray at customs revealing a network of fine wires might result in the untimely destruction of the dragon in a controlled explosion (and it is, after all, a water dragon not a fire dragon). 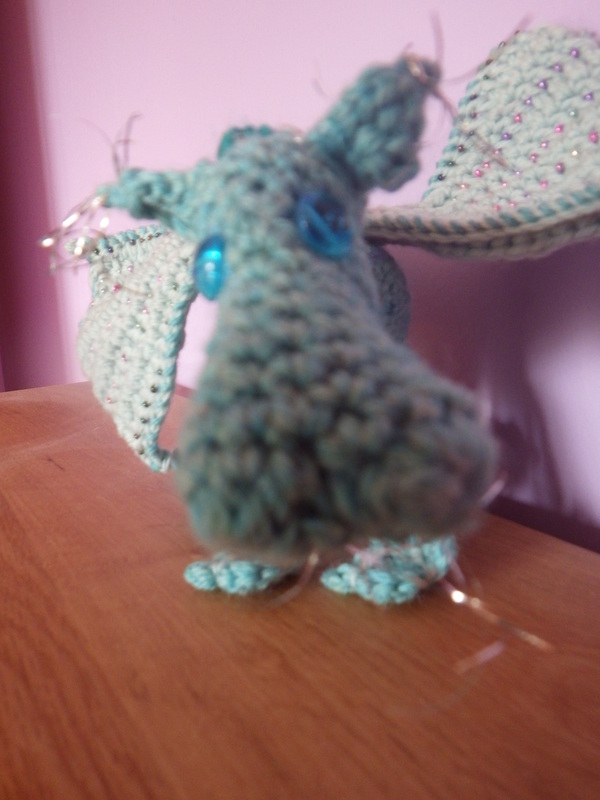 The final touches involved some needle sculpting and silver tufts on ears and chin. It turns out that bartering for art is very satisfying! One of the things I’m trying to do at the moment is to avoid buying new things if I can get something secondhand. The idea is that this will reduce my drain on the earth’s resources, help decrease the amount of stuff going to landfill and satisfy my needs. 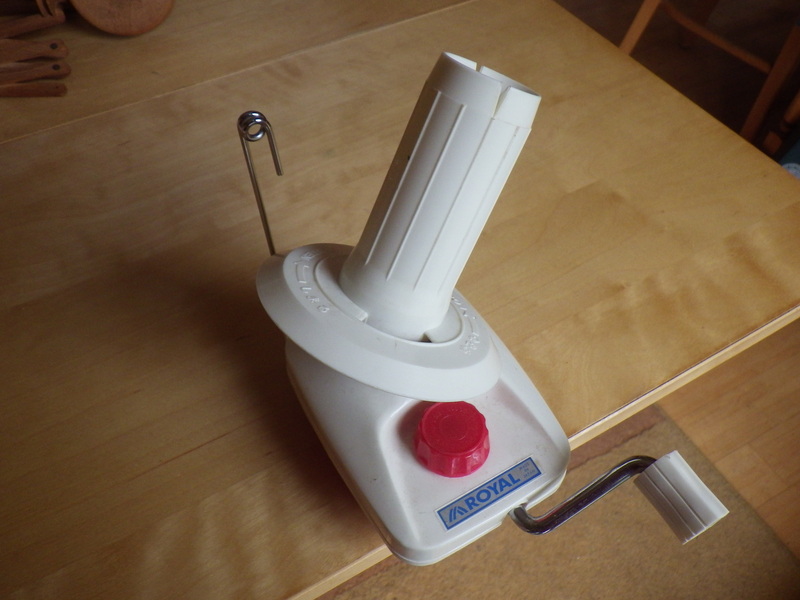 So, the other day I stopped myself taking the easy option (when you have enough money) and simply ordering a wool winder and a swift from Loop’s knitting shop. 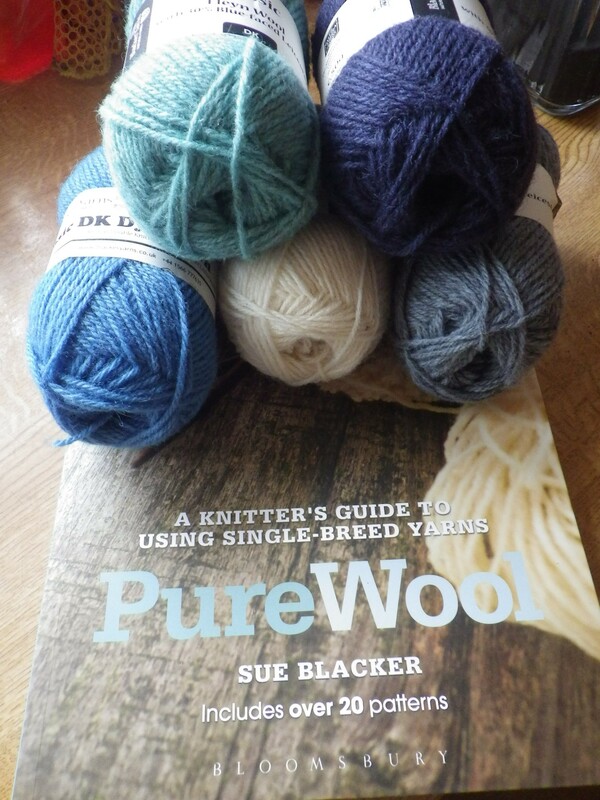 Recent purchases of yarn have regularly been in the form of hanks and draping them around chair-legs and winding by hand is a bit of a pain – and very slow. Owning these two items makes the process much easier and quicker. However, I reminded myself that I do have a swift, albeit a broken one. It’s actually an object that I have great sentimental attachment to because it was given to me by a very dear lady who taught me embroidery. She was quite a hoarder, but often passed on fabric, embroidery silk and other sewing-related things to me and my mum (I have a collection of beautiful mother of pearl buttons from her). She gave me the swift about 30 years ago and I know it was old then, so it must be an antique. Sadly she passed away a few years ago, but the swift remains with me. 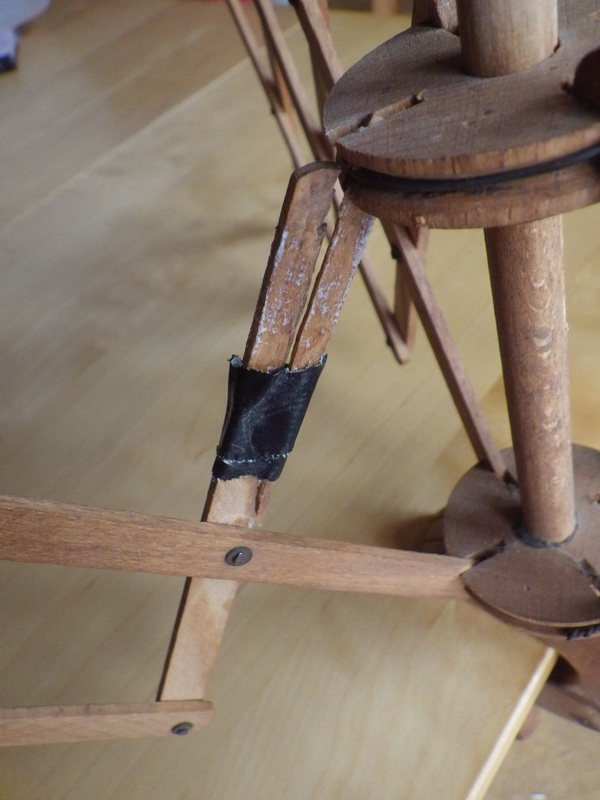 Currently it’s held together with tape, but I plan to mend it with glue and fine twine, which I am hoping will give it many more years of (gentle) use. With all that trellis contraption, it’s no wonder that it’s got damaged. I’m pretty sure that it’s at least 60 years old and may be significantly older. 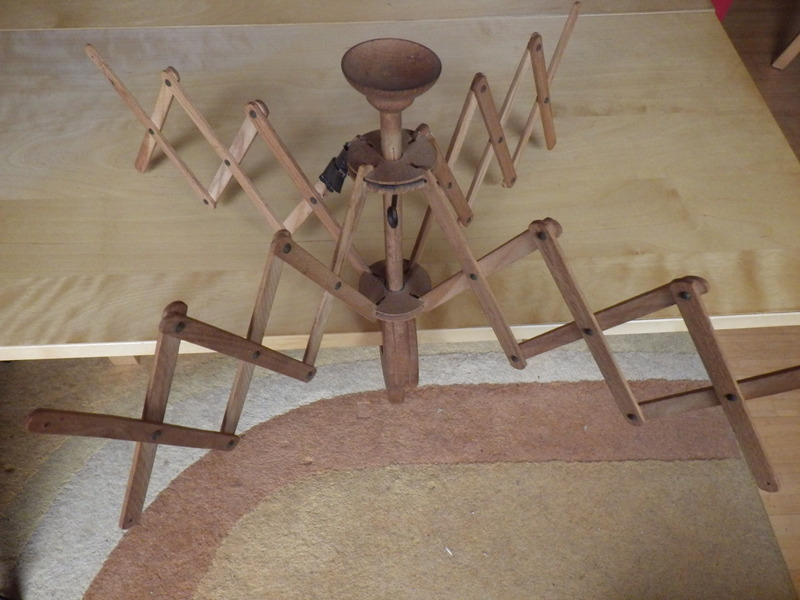 It may even have been made by the husband of the lady who gave it to me as he was very good at woodwork. I’d be interested to know if anyone has seen one like it before. Anyway, whatever its history, it’s going to be put back into service soon. 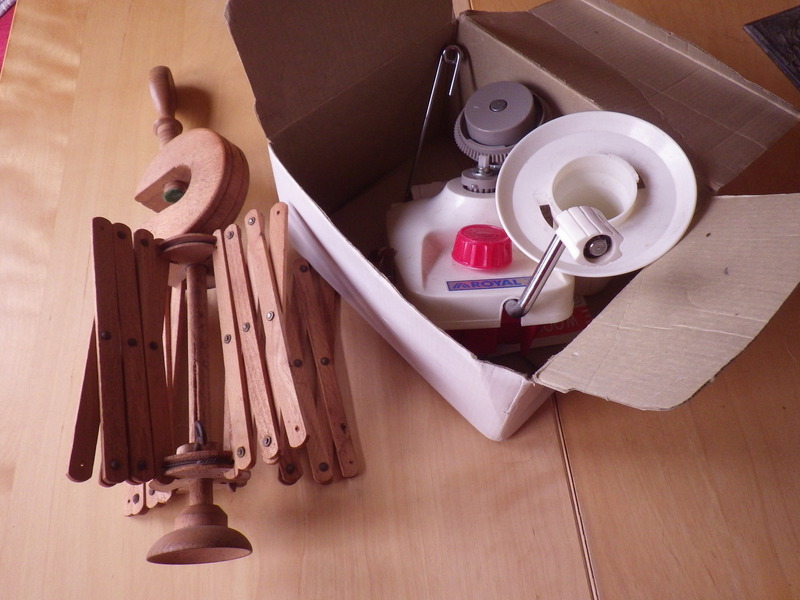 So, the swift was already in my possession, what about a ball winder? My mum used to have one, but it ended up in a charity shop, I think. I, therefore, used the power of social networking and appealed to my friends on Facebook to see if anyone had one they didn’t want. In the spirit of bartering, I offered a pair of hand knitted socks or crochet slippers in exchange. And within a couple of hours I had one person who thought her mum had one, one offer to order a secondhand one from e-bay in the US (only new ones on UK e-bay at the time) and one person who thought they had one and would look. After a brief pause, my friend Susan came up trumps – she had one in her loft and delivered it on Thursday (she only lives two miles away). In exchange she accepted a cup of tea and a homemade muffin… I even offered money but she wouldn’t take any. My next job, therefore, is some repair work on the swift, and then I will be able to convert hanks (skeins) into balls as much as I like. Hurrah for reuse and repair! Oh, and if a second winder does become available, another friend would also like one, so I can rehome that too! We have mostly been staying safe indoors since the year began, although we did manage to walk down into our local town, Aberaeron, for lunch at The Harbourmaster to celebrate my birthday on Tuesday. Other than that the weather has been pretty bad, and on Friday storm surges combined with naturally high tides wrecked havoc just north of us in Aberystwth and filled the harbour here in Aberaeron to the brim. The weather has subsequently improved, but only to the point of raining about 50% of the time. I just wish it would brighten up and allow us to go for some of those lovely frosty walks that I like so much. For us, climate change seems to be manifesting itself in the form of wind and rain (not surprising as it is linked to extra energy in the atmosphere). The result is that we are spending lots of time indoors. This means that I have completed knitting the latest socks for barter – these are to be exchanged for a leather strap and base for a bag that I’m going to felt from the wool from my last bartering activity. 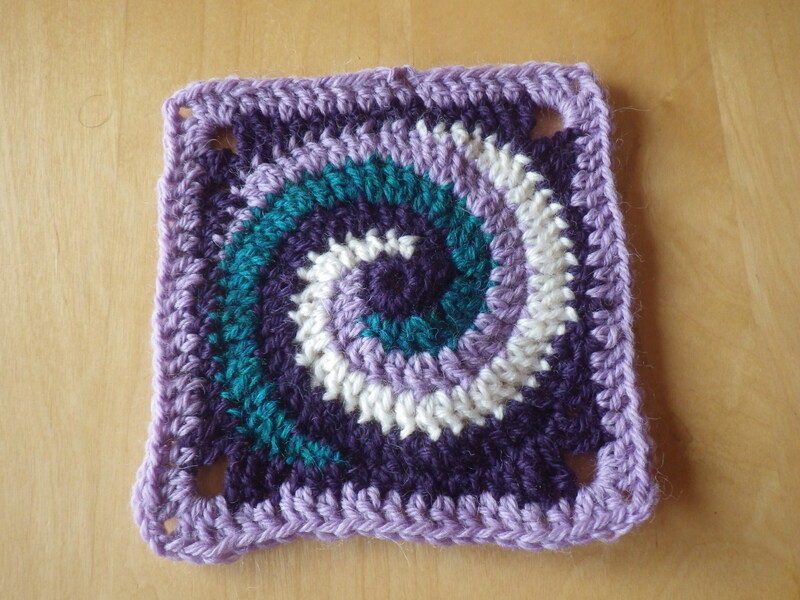 And now I’m ready to start on my next piece of work for barter: four snail squares in exchange for some seeds. Originally, I was going to use wool oddments, but then I was placing an order for some British wool from Blacker Yarns and saw that they had some colours available that would look really lovely in the spiral design, so those are what I am going to use… photographed here with a book that Mr Snail-of-happiness got me for my birthday, written by the proprietor of Blacker Yarns. In addition, there has been quite a bit of activity with the Masterpiece blanket, and I have added photographs of quite a few squares made in the last week or so. It’s going to be a really diverse design, even with the squares that I have made, let alone all the ones coming from other people. I will put a border around every square eventually, probably in black, so that each one is ‘framed’ and the blanket has some consistency throughout. Since the forecast indicates rainy weather for some days to come, I think I’m going to have plenty more time for such activities! I have some good marketable skills – I can edit (fiction and non-fiction), proofread, conduct ecological surveys, provide advice on land management and habitat creation, I can teach (ecology, conservation, permaculture, statistics), and I can make things (knitted snails, crochet bacteria, felt camera cases). So really, I don’t have a great problem earning a living. But I have this niggling desire to try to do some of my work for payment that isn’t financial… for things that I need or want rather than for money to buy things that I need or want. But, is it possible? Our LETS (Local Exchange Trading System) died a death some time ago. These systems allow you to avoid direct exchanges, but instead earn some sort of credits that can be used to ‘buy’ from another member. Apparently, in our area, everyone wanted carpenters and plumbers, but most of the offers were for jars of jam and back massages… I over-simplify, but you get the idea. So LETS is not an option here. We already make use of Freecycle, but this is really only useful for physical items and anyway, has nothing to do with exchanges. In a small way, we already exchange goods and services – eggs for chicken care, house watching when neighbours are away, swapping seeds and so on, but I want to do something more. The problem is most challenging with big things. The skill that I have that is in greatest demand is (perhaps surprisingly) my expertise as an ecologist. 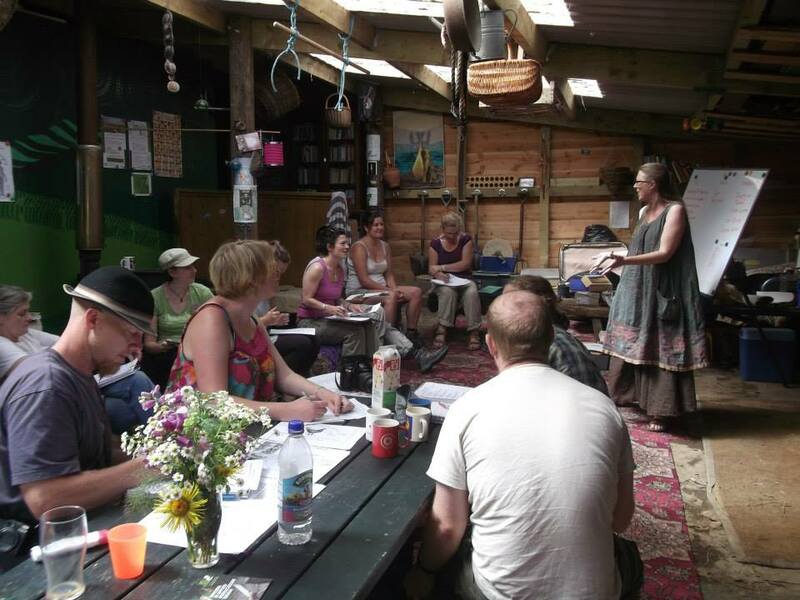 I know lots of people who want advice about managing their land: from enhancing biodiversity to improving their soil; from understanding the vegetation they have growing on their plot to planning a management strategy; from identifying a plant to creating a species-rich meadow; I get asked about all sorts of things. 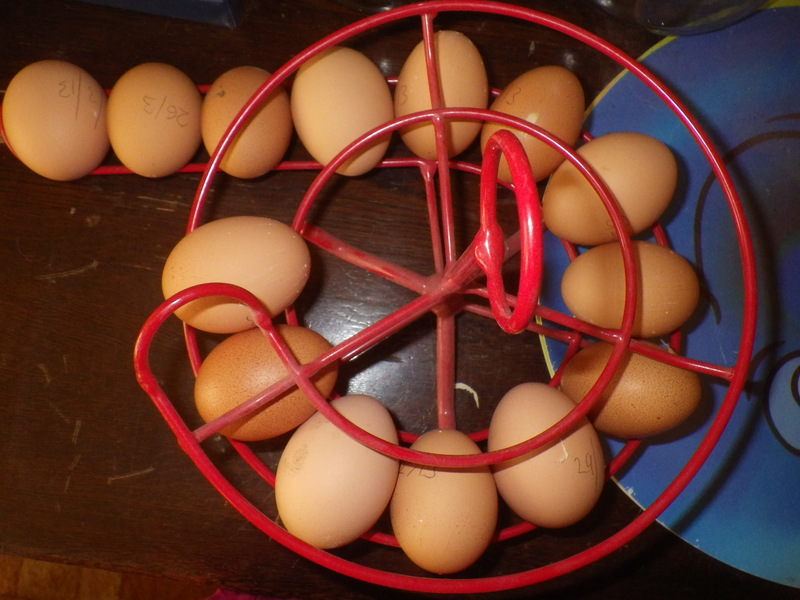 In general, I like to help out, but since this work forms part of my livelihood, I can’t do it for nothing… a girl has to eat (and feed her hens). … but what is my teaching worth? So, what constitutes a fair exchange? And what happens if the person who wants my services does not have something I want? As has been pointed out to me, this is where money comes in – it’s a way of keeping score, and something that I can exchange for those things in life that I do need. So, whilst I’d rather you gave me half a lamb for the freezer, hand-spun yarn, or a sack of corn to feed my hens, maybe I will just have to accept that sometimes I have to take a cheque or a bank transfer. Anyway, I have decided to make a start by compiling two lists: one of what I can offer and one of what I want. This way, next time someone asks for some work from me, we will at least have a starting point for negotiating a fair exchange.